What is it with me? I have the weirdest ideas. It’s been the summer of Solar Systems and in between sets, I’ve been letting my hands run wild. 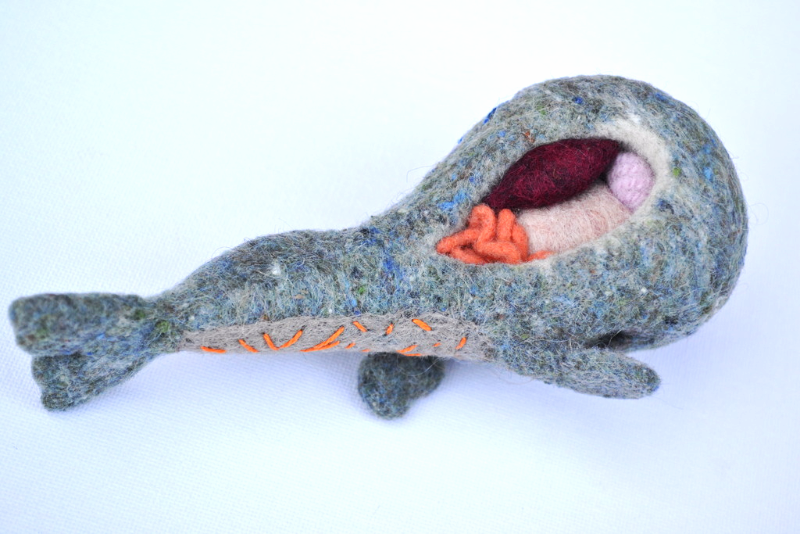 Put creative thoughts together with a keen fascination of whales & anatomy, and that’s how Anatomy Whale started. Meet my rendition of a Sperm Whale. 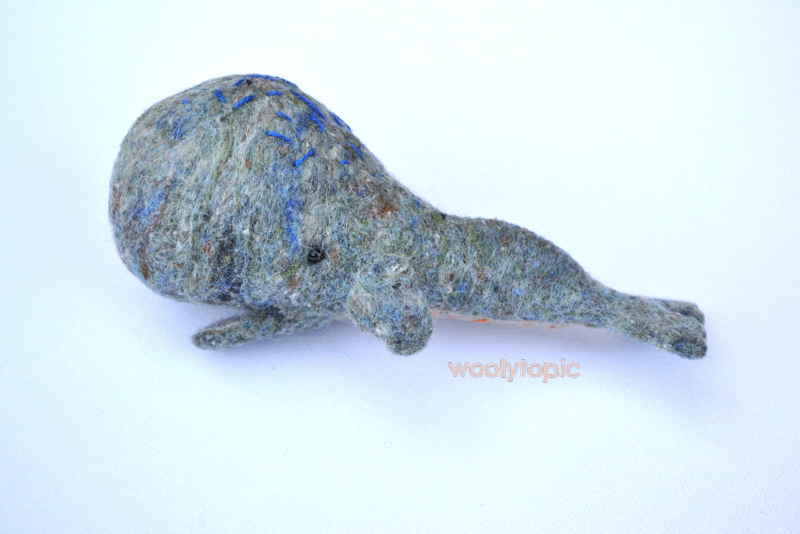 My favouritest 😉 Wooly Sperm Whale is 7″ long. 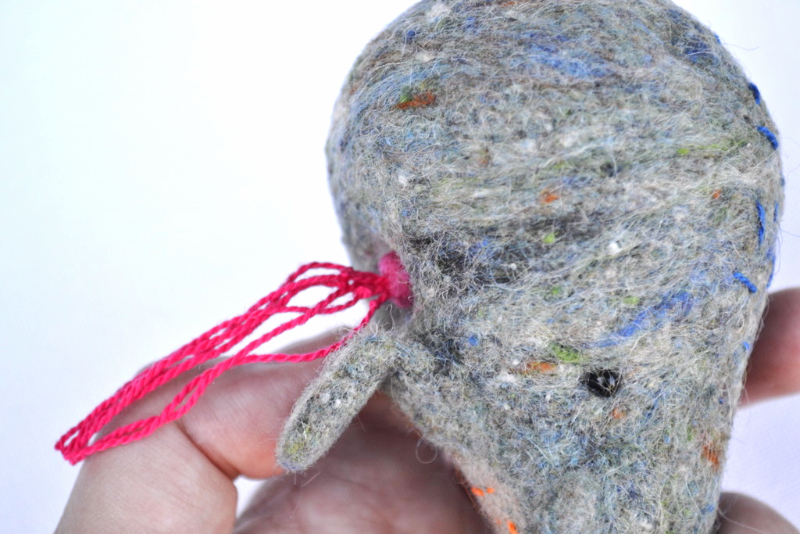 He’s very firmly felted, but soft to the touch. One side is his wonderful whale profile, which includes a black glass eye, small flipper and a functional mouth and he has a triangle tail fin. The other side of the whale is hollowed out and that is where all his ‘parts’ go 🙂 Something kind of fun… his mouth is actually a small opening and ‘food’ can slide right inside, into his stomach. He also has a blow hole on the top front of his head. 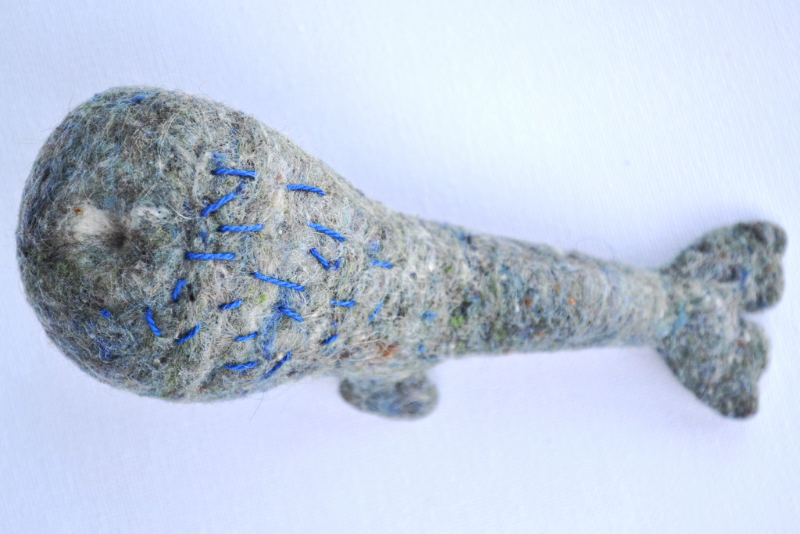 I’ve used a blue-ish, green-ish, grey-ish wool fleece to cover his body. On top I added some royal blue embroidery stitches. 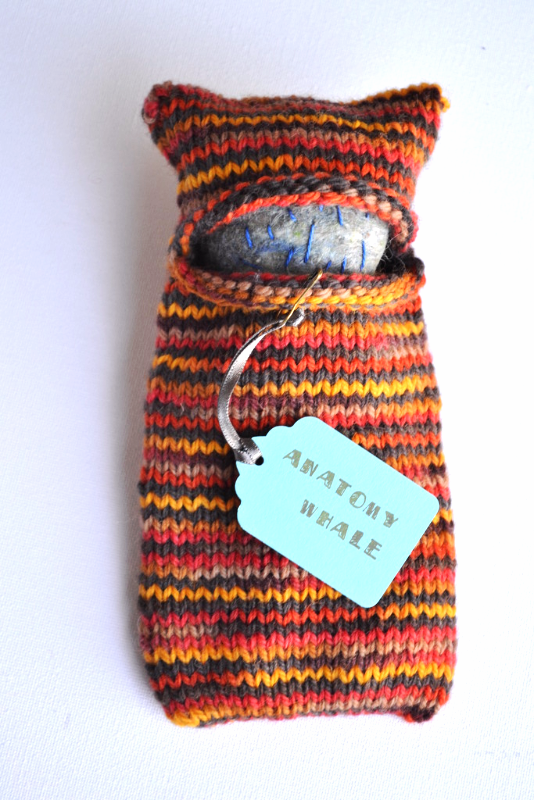 His belly is tan wool and I’ve added some orange funky stitches. 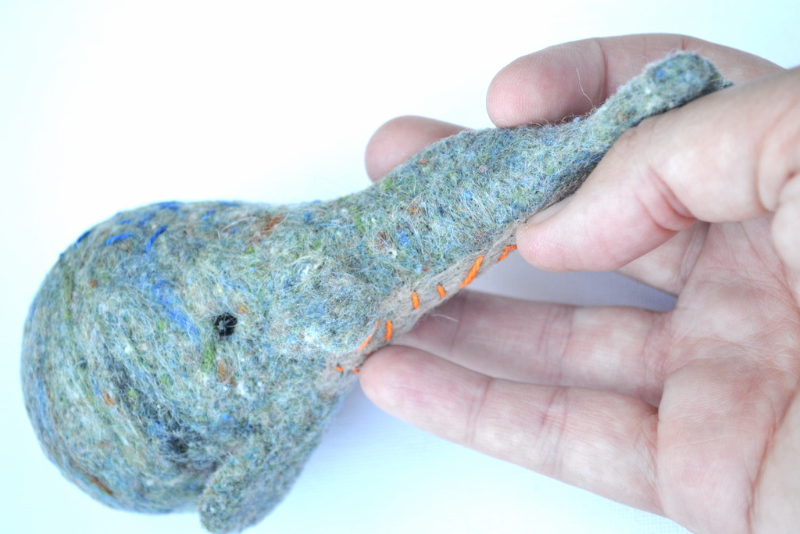 To ensure Anatomy Whale stays durable during some play, I’ve both sewn and felted the tail fin and the small front flipper securely to the torso. There are 8 pieces of the anatomy in this set. 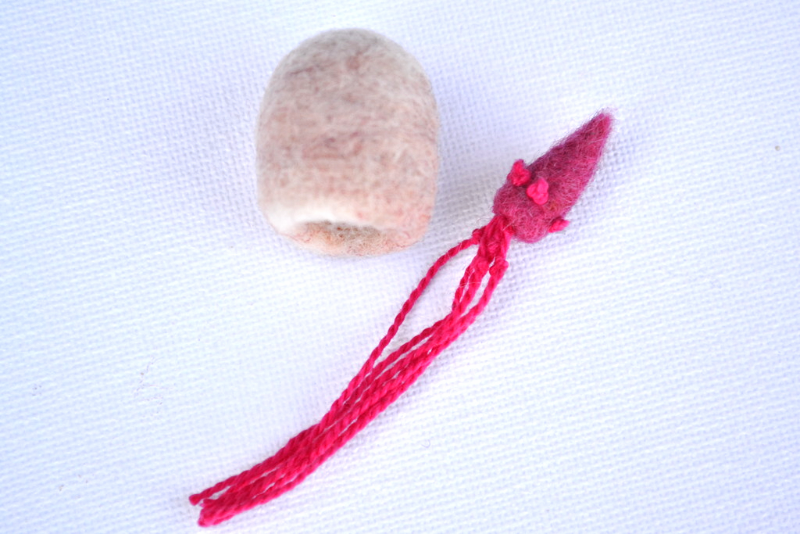 All pieces are made using wool. 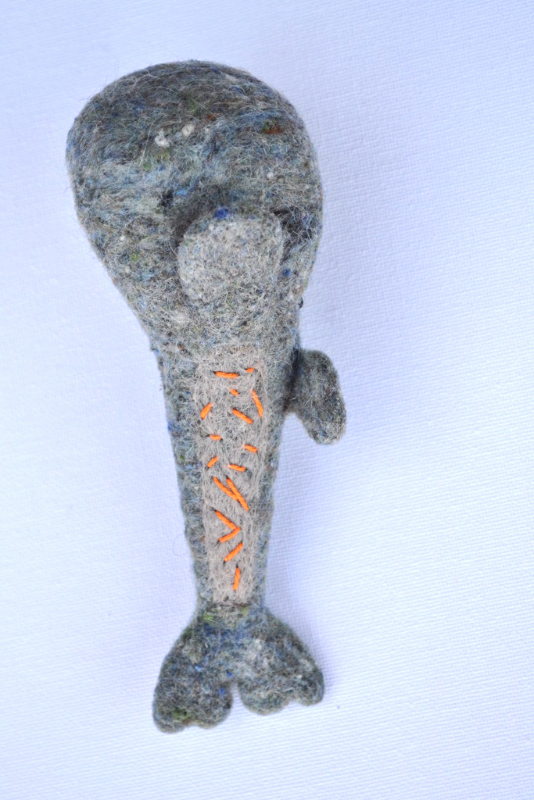 Each tiny piece has been very firmly felted and there is a lot of detail added. 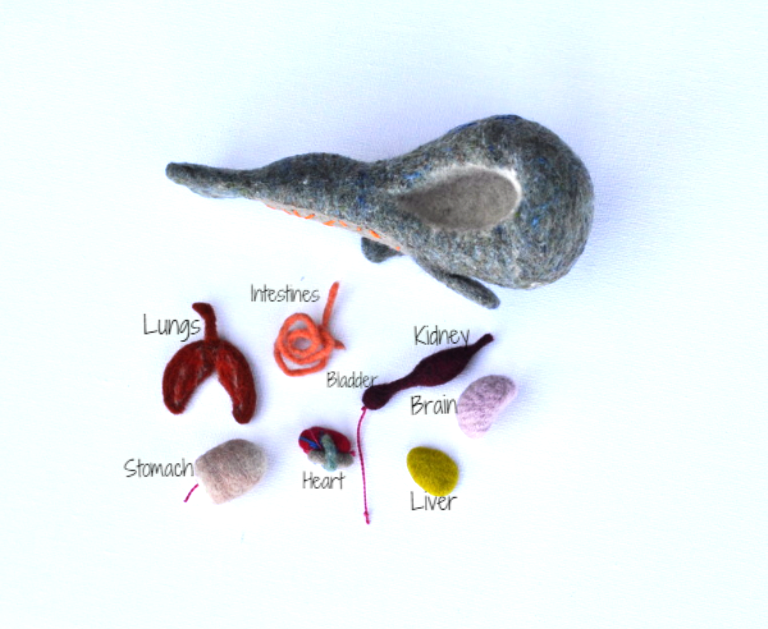 Organs included: Lungs, Stomach, Intestine, Heart, Kidney, Bladder, Liver & Brain. I spent time with my son, researching whale organs. These are the ones I decided to include and I’ve tried to shape them the way they look in the pictures we found. The stomach is neat. It’s shaped into a pouch and inside, the sweetest giant Squid fits perfectly. Sperm Whales eat giant Squid. …Giant Squid fits through the mouth opening and lands right inside! FUN! 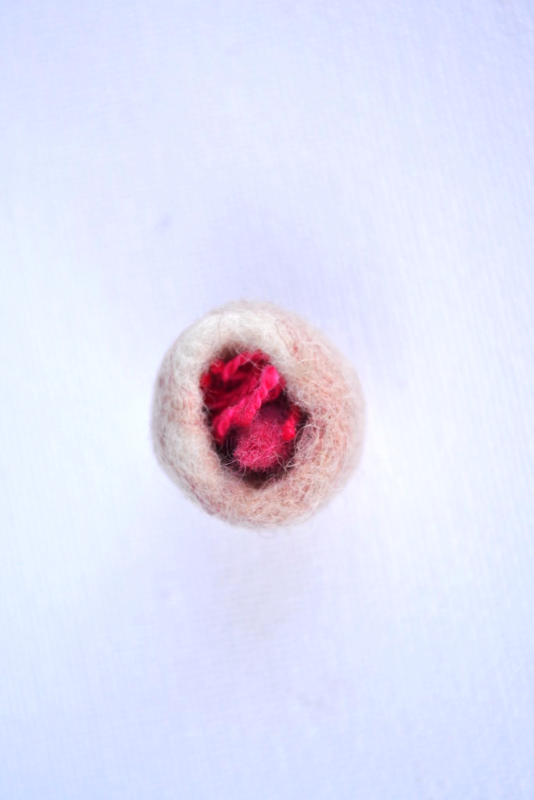 …each organ fits perfectly inside the cavity. This is a glimpse of the lungs and brain tucked in there. Sperm Whale is durable as a toy set. Keep in mind that the parts are very small and easily lost, so young children may need supervision.